Bull Shoals Lake is a nice vacation destination in Branson where you can enjoy great fishing adventure with family and friends. It’s a perfect place to spend bonding moments with your family as the place offers a tranquil surrounding in a cool environment where you will find it great to relax and meditate. The beautiful lake boasts a shoreline of one thousand miles surrounded by deep forests and covers an area of 45,000 acres. This man-made lake was created after the completion of Bull Shoals Dam in 1952. The dam was constructed to produce hydroelectric power and to control flooding in the White River Basin. Bull Shoals Lake has been widely recognized in the Midwest as a perfect fishing spot because of the abundance of fabulous white bass and walleye. The prime trout fishery in the White River where its waters flow to Bull Shoals Lake has produced state records for cutthroat and rainbow trout. The lake also garnered great achievements when it improved fish habitat and enhanced fishing. Aside from being one of the most popular fishing destinations, Bull Shoals Lake is also great for scuba diving, swimming, wakeboarding, boating, water skiing, and parasailing. In the lake, you will find public marinas and area resorts that offer boat rentals, sports equipments, guides for hire, and a variety of supplies for sale. Fishing, boating and swimming are some of the most popular water sports activities at Bull Shoals Lake. The pristine and crystal clear waters of the lake are some of the reasons why many visitors consider the place perfect for watersports adventures. Area resorts and marinas in the lake have dock facilities where water sports enthusiasts can rent boats, scuba gear, water sports equipments, and service guide for fishing trip. There is also a full floating marina store in the lake that offers many things needed by boaters such as reels and rods, sunglasses, clothing, marine hardware, snacks, and many more. Fishing is on the top spot of being a favorite recreation in the lake as there is great abundance of white bass, largemouth bass, striped bass, and black bass. 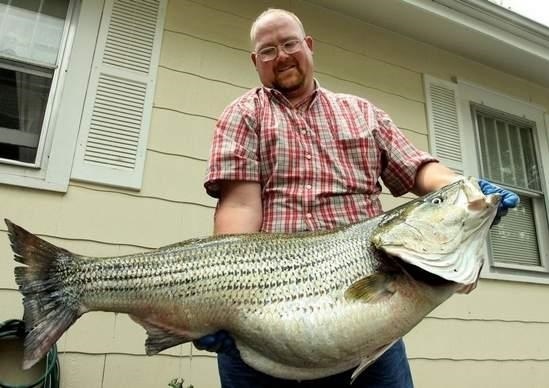 There are a number of record sized fish that are pulled out of the Bull Shoal Lake at any time of year. Crappie, Walleye, and Catfish are the ones that are easily caught in the lake. If you are looking for some other great water activity on the lake aside from fishing and boating, try scuba diving which is sure to excite you as you dive beneath the clean and cold waters of the lake. Bull Shoals Lake is sometimes called by divers ‘The Caribbean of the Midwest.’ Dive instructors are available to assist beginner and advanced divers. As you dive under the waves, you will be entertained with its beautiful rock formations, sunken boats, and hundreds of different types of fish. For a fun fishing trip, exciting diving adventure, and other water sports activities, come visit Bull Shoals Lake in the Tri-Lakes Area.